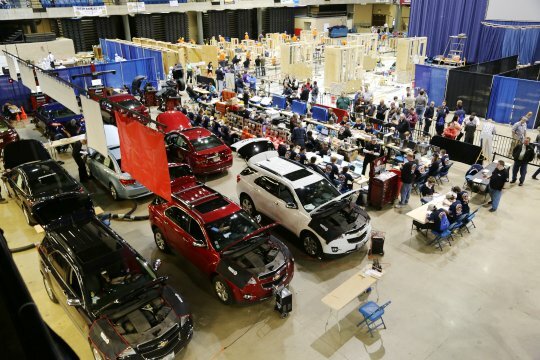 IAM Mechanics Local 701 in Carol Stream, IL sponsors the Automotive Service Technology Competition at the SkillsUSA Illinois Championships in Springfield. Sixty students competed in Automotive Service Technology, as they rotated through 20 work stations, testing their skills. 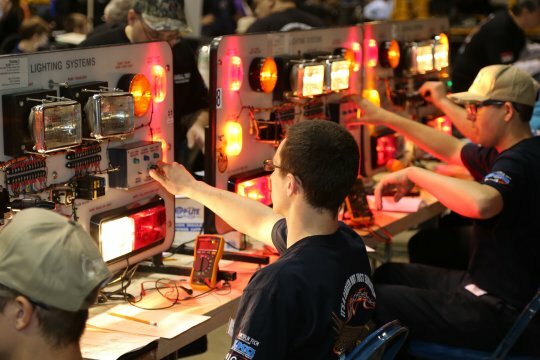 “I’ve been involved with SkillsUSA for about 20 years and I got the local involved about 14 years ago because that’s where our mechanics are coming from. They are coming from these students that compete. 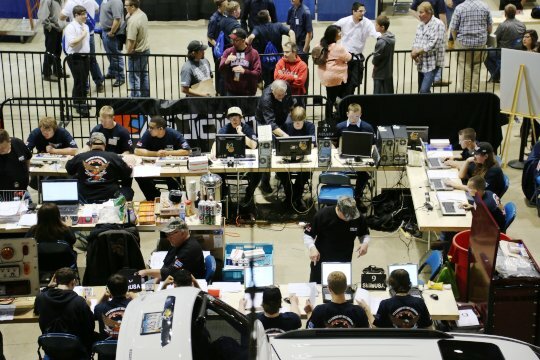 Local 701 saw the value of trying to help these kids succeed in their career or their goal to become a mechanic,” said Lou Longhi, Director of Training for Mechanics Local 701. “We also started a Local 701 training center. We heard from employers that some new hires were starting without all the necessary skills. The training center is there to help train kids right from high school and put them into a career path and an apprenticeship program to help them become mechanics. Winners of this years Automotive Service Tech competition were Thomas Hahn from Joliet Junior College and Alex Marneris from Carl Sandburg High School. This is the 3rd trip to the nationals for Thomas Hahn who won the college / post secondary competition for the 2nd year in a row. Tom also made nationals his senior year of high school. 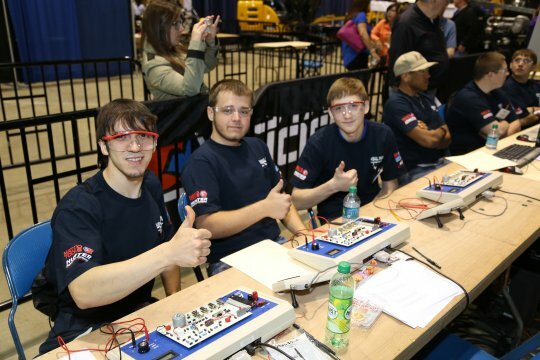 Competition resulted in high school and college / post secondary winners advancing to the national event. In turn, the winners of the national event would move on to world event.